When it comes to bread and baked goods, it is the gluten in the flour that keeps the dough or batter together and allows us to pull and stretch pizza dough. So, if you are baking gluten-free, you need an added ingredient to do the job of the gluten. Luckily, there are a few natural choices, such as xanthan gum and guar gum. Other gluten-free thickening alternatives are gelatin and agar. The two thickeners are similar, but is one gum better than the other? And how much gum do you really need to use for best baking results? 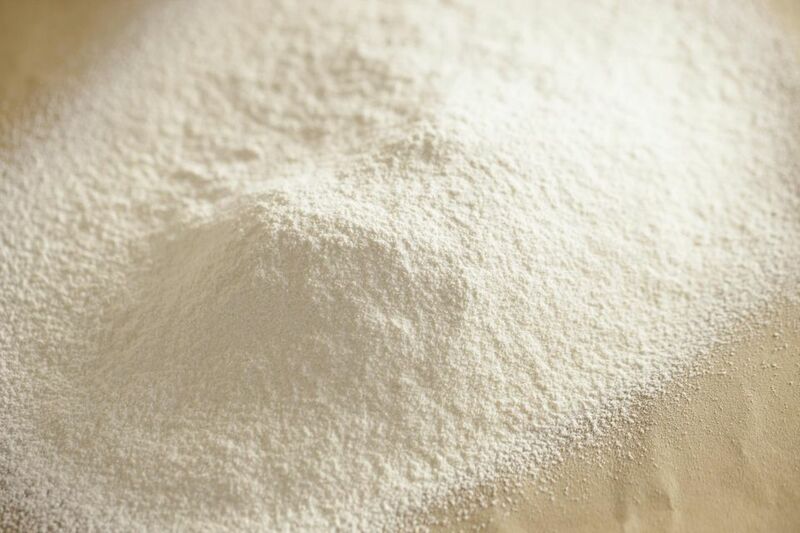 Before you add xanthan gum to a gluten-free flour or flour mixture, be sure to check the list of ingredients—some manufacturers will include xanthan gum in their gluten-free flour or bread or cake mixes to make preparation simple. Thus, you don't need to add an additional thickener. It is important to follow the recipe (or the guidelines below) when using xanthan gum—if you use too much xanthan gum in a recipe you may notice a heavy, gummy, or even slimy texture in your baked goods, so measure carefully. People with allergies or sensitivity to corn may be advised by their physician to avoid xanthan gum. Also, xanthan gum generally costs almost three times as much as guar gum. Guar gum, also called guaran, comes from the seed of a bean-like (legume) plant, sometimes referred to as the Indian tree. The husks are removed from the guar seeds and the seeds are milled into a powder. It is used as an additive in baked goods to increase dough yield, create more resiliency, and improve texture and shelf life. According to Bob's Red Mill Guar Gum product literature, "Guar Gum has eight times the thickening power as cornstarch." Like xanthan gum, measure carefully when using guar gum in gluten-free recipes or you may end up with heavy, stringy baked goods. Guar gum is a high-fiber product and has been associated with gastrointestinal upset in some people. Depending on what you are making, you will need to use different measurements of the xanthan gum or guar gum. Only a small amount is needed in each recipe, never more than a tablespoon. For best results, follow recipe recommendations when using xanthan gum or guar gum, but here are some general guidelines. Bread and pizza dough recipes: Add 1 teaspoon xanthan gum or guar gum per cup of gluten-free flour. Cake, muffin, and quick bread recipes: Add 1/2 teaspoon xanthan gum or guar gum per 1 cup of gluten-free flour used. Cookie and bar recipes: Add 1/2 teaspoon (or less) xanthan gum or guar gum per 1 cup gluten-free flour used.